Taking the time to learn how to easily calculate your retirement income is important. Knowing how much money can be counted on will help you make wise decisions regarding your retirement. Following are five simple steps for calculating prospective retirement income and expenses. Generally speaking, a retiree will spend about seventy to eighty percent of what he or she has been up until retirement. For example, a single retiree who spends around $50,000 a year can expect to spend between $35,000 and $40,000 a year. While this figure can be brought down if a retiree is willing to change spending habits and become more frugal, it is a good starting point. Considering new financial factors is also important. A retiree will, generally speaking, have paid off his or her mortgage, so there will be no rent to worry about. The children will have grown up and moved out, so a retired couple will not have to spend money on the children and their needs. However, many expenses go up when a person retires. Leisure, travel and entertainment expenses rise, often drastically. Health care expenses also rise as a person gets older and has to spend more money on doctor visits and medication. Health insurance costs also go up, unless a person is able to obtain Medicare or some other form of government sponsored health insurance. Next, one should look at what income he or she has available for retirement. Consider stock market investments, Forex investments, 401 (k) plans, annuities, retirement insurance and pensions. Calculate how much money will be set aside by the time you intend to retire. With stocks and investments, it is naturally hard to know the exact amount of money will be generated. It is better to err on the site of estimating too low than estimating too high. After you have figured out your total retirement income, it is time to consider taxes. Some forms of retirement income are taxed while others are not. Social security benefits are taxable if a person earns over a certain amount. Most pensions are either fully or partially taxable, although some states will not tax military pensions. Money earned via a 401(K) account is tax deferred, not tax free. This means that a person does not have to pay taxes on this money until he or she withdraws the money for retirement. At this point, you will need to pay the same tax rate on this income as you would have to pay on income received from a regular job. It is impossible to say how much one will have to pay in taxes as it depends on one’s overall income, whether a person is married or single and where he or she lives. This information should be researched on an individual level so that one will be prepared to pay taxes upon retirement. If your retirement is still some time away, then consider the effect that inflation will have on your savings. The inflation rate comes to an average of around 3% a year. While the inflation rate is often less than this amount, it is best to calculate higher and end up with more money rather than calculate too low and be in want. 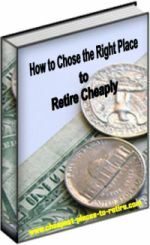 This method of how to easily calculate your retirement income will help you to see how much money you can count on for retirement. The first step is to calculate expenses. Consider how much you spend on a monthly/yearly basis and multiply this by either .70 or .80. 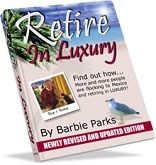 Next, factor in the financial realities brought about by retirement. Afterwards, calculate the amount of money you will have in savings by the time you retire. Base these calculations on hard facts only, not expectations or wishes. Once you deduct taxes and consider the effects of inflation on your income, you will know how much money you have to work with upon retirement. You will then be able to determine where, when and how to retire.